Being a business owner and entrepreneur means connecting with referral partners, potential clients, and potential colleagues. The last thing you want to be doing is scrambling to type up a short bio, finding the perfect headshot, and remembering all of your upcoming launches, events, and other important details. A media kit bypasses this and allows you to focus on creating the connections rather than retyping the same information a million times. Media kits are an important piece of marketing collateral. 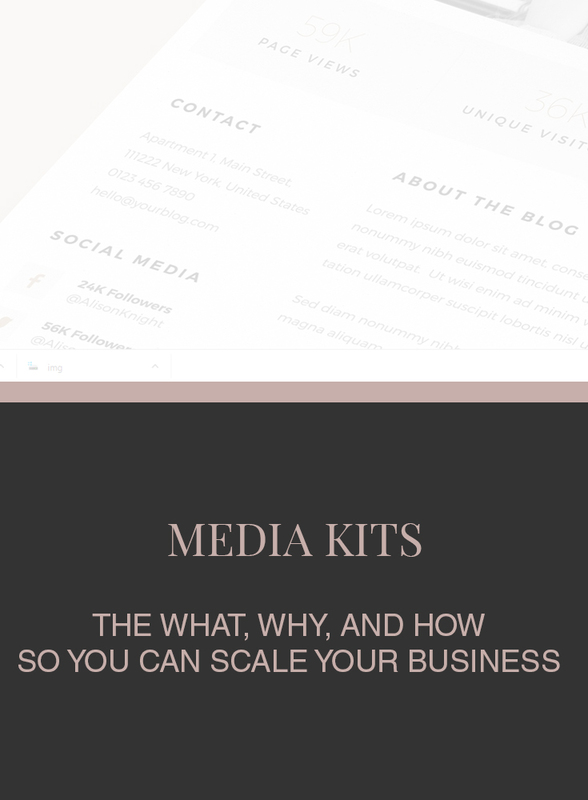 A media kit is essential for getting publicity for your business (when it’s ready for it). What is a media kit and why do you need one? A media kit (often referred to as a press kit) is a document or set of documents that houses relevant information regarding your business, yourself (if applicable), your upcoming events or launches, and your contact information. 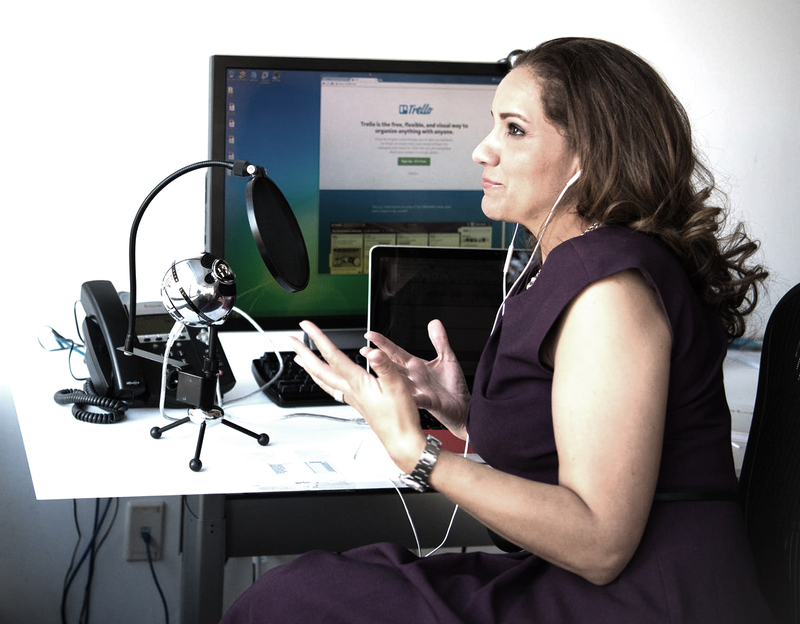 Typically these are used for any interviews, podcasts, guest blogging, or speaking gigs you do. There are a ton of reasons why they’re great for business. Let’s dig into some of the bigger reasons why you need to be using a media kit in your business. No one wants to reinvent the wheel, right? By now you probably know I’m all about templates (unique to your own business and needs, of course). Creating a nicely designed media kit with all of the pertinent information will allow you to focus on cultivating connections with various people instead of spending time writing out all of this information in an email. You can save time by having it already done for you and only changing things as they are needed. Sending out kits to various media outlets can get you more media attention – which means more brand awareness. For one of my clients, a vineyard and retreat center, we created a one-sheet telling the origin story of their business. We sent out around 50 different packets to various media outlets. As they are located in a rural setting, we knew chances of people showing up would be slim. We still managed to get a news crew to come out and do a video as well as a few write-ups about their establishment. They also landed a spot later on with the local PBS station. The media kit allowed them to reach out to a number of different resources that eventually led to media exposure – which means more brand awareness and more sales. On a very basic level – media kits save you time. When used strategically, they can help you scale your business. If you don’t provide the information, you have no idea what someone will say about you. Protecting your brand image is essential if you’re doing outreach. It’s not always a guarantee that your information will be written as it is given to them, but the likelihood of them “getting it right” will drastically increase. Simply put, helps you appear more professional and put-together. People can tell when things are thrown together or when you’re scrambling around like a chicken with its head cut off. It’s not a great look to have. Who should be using a media kit in their business? Everyone. Everyone can benefit from utilizing a media kit in their business. From launching a new business to a rebrand – they are incredibly versatile. It can be as easy as creating a page on your website that you send people to or can be a PDF that is professionally designed and can be printed out and mailed (or e-mailed) to the appropriate people. Please make this unique if possible. The rest can be a template that you rarely modify (only as-needed) but the intro should be custom to whoever you’re sending it to. You can make a base template and change it as you need to. A professional headshot is usually recommended. Full-body photos can be harder to work with but if that is all you have, that will work to. Something professional is what we’re aiming for. This is more for service providers like designers, photographers, artists, etc. This is optional but I always think it’s nice to include a couple of testimonials, especially if you have any from larger influencers or people in your space that will help build your brand reputation. If you have any large partnerships that will aid you in making more connections, then include them in your media kit/ press kit. Including all of these elements will help others write accurately about your business and present you professionally. They help build trust with those who want to work with you and provide a resource to those interested in working with you. If you’re looking for help creating a media kit for your business, apply for a free 30 min. Consultation regarding your design needs. Let’s chat. Are you ready to start your branding or website project? Not ready to work with me? Get on the VIP list. Join the mailing to get branding and design insight, plus ProlificBanana updates and offers. You've been added to the list! I help service providers package their expetise into a brand that positions their business to attract perfect-fit clients. ©2018 ProlificBanana, LLC is a design agency located in Jefferson, Iowa.